As a teacher who enjoys finding new ways to integrate technology in the classroom, I would love to share some of my favourite digital tools with you. I have been using Windows devices, particularly Microsoft Surfaces for all of the eight years I have been teaching (and I have written about why this is the case before in this blog post). Over this time, I have collected a list of awesome apps which I use on a regular, almost daily, basis. Each of them has helped to streamline my teaching and has opened up new ways to engage students with my lessons. If you’re looking at digitising your own classroom, I hope that these help you as well. Hands down, the best app for any educator or student. Ever since I started using it, OneNote has become the most powerful resource in all of my classes. The basic concept is that rather than a student bringing a paper notebook to class, they have a digital one. The app allows teachers to see, in real time, their students’ work. Also, rather than photocopying worksheets, teachers hand them out digitally, in a matter of seconds. 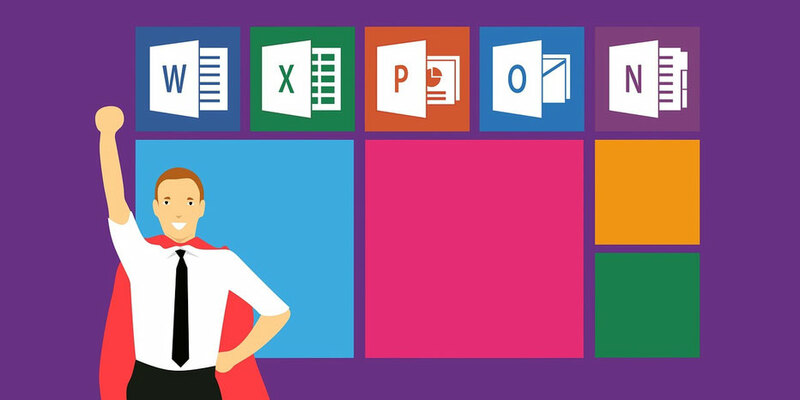 On top of this, students can use the highly acclaimed Microsoft Learning Tools. 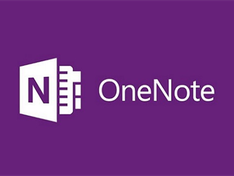 If you are new to OneNote, there is a handy 'how-to guide, here (which is also completely free). Easy-to-use app for accessing thousands of educational videos designed for the classroom, all designed to be accessible through Clickview's own BYOD-friendly platform. It even allows you to download off-line versions of the videos, just in case. If you currently use this service, it streamlines the process for you. It gives you a simple and quick access and share to all of your files on OneDrive, even with multiple Microsoft accounts (personal, school, etc.). OneDrive is free to sign up to and use for everyone. Even students can use this to save their school work so that they will never lose their assignments ever again. A superb app that uses your device’s camera to convert any printed page into a Word or PDF document for use in class. Convert your old paper resource into student-ready digital documents in under a minute. This is also available on Andriod and iOS, so that you can use your phone to digitise your worksheets and save the directly to your computer. Not only a photo viewing app, but a place where you can edit and create video files. Incredibly simple to use and superbly powerful for both students and teachers. This is a handy resource for creating digital presentations and students find it easy to master. I even created a great little promotion video for my History classroom, which was done entirely in this app. A great app that allows you to save web articles into your own ‘magazines’. In seconds, you can create class-specific reading material that is curated for your own learners. Students can use it for research tasks to save great pages that they find. If you want to know more about how I have used Flipboard in class, check out the 'Global Museum' blog post. Simple, yet powerful, to-do list app that syncs across all devices and platforms. You can even create and share To-Do Lists with other people. Students can even use this to plan out their homework and assessment pieces. An app that lets teachers and students record short videos to share with a class. Teachers can record a video asking a question for homework, which students can respond to with their own video. The class can then respond to the answers through further recordings. It aims to give ‘every student a voice’. If you're unfamiliar with Flipgrid, there is a Introductory course here, which is also complete free to access. This app automatically comes installed with Windows 10, but it is most pwowerful when the 'live tile' feature is enabled and is pinned to your Start screen. When done, this allows you to easily see what your next scheduled is appointment/lesson. It is remarkable how often I check this, simply with a glance at my screen, thoughout the day. I also past my lesson plans into the calendar and open it when in class. As a result, I haven't used a paper teacher diary in over seven years. A radically new way for teachers and students to create presentations. Rather using ‘slides’ like PowerPoint, it uses dynamic digital transitions that students can implement quickly. It requires little advanced technical 'know-how' and students find the interface refreshing. Some teachers even use it to make visually appealing newsletters for parents. If you're new to Sway, there is a quick 'how to' course here, which is free to access. A great resource that gives quick links to all of your videos and films in your online collection. The most useful thing is that the app remembers where you finished watching the video and you can simply 'resume' the next lesson. This even works across devices! A free, powerful and easy-to-use image editor, which I use a lot for editing photos I use in class or for PD events. It also allows students to edit their own photographs, which can be used for their multi-modal presentations. Even though this is basically an internet browser (like Google Chrome), its most powerful tools are its PDF editing capabilities. You can make comments, highlight and draw on PDFs, which is great for feedback and reading activities. On top of this, it can read websites and documents to the students, if required. A digital whiteboard that does everything a traditional whiteboard does, with a bunch of extra features. Find an image online, annotate it and save it as an image to share with students. You don’t have to ‘take a photo of the whiteboard’ anymore. It will save straight away for you! What do you think about my recommended apps? What else would you add to the list. Let me know! Historyextra.com is the official website of BBC History Magazine, Britain’s bestselling history magazine. From only £4/$4 a month, you can access a 10-year archive of BBC History Magazine features written by leading historians, award winning podcasts and instant access to new content. Click here to start your subscription today. Alternatively, you can subscribe to the HistoryExtra newsletter.